Get ready for a great time online when you play European Roulette at Wicked Jackpots! You'll feel like you're at a real casino, with 3D play, a pay table with your bets and more. Good luck! 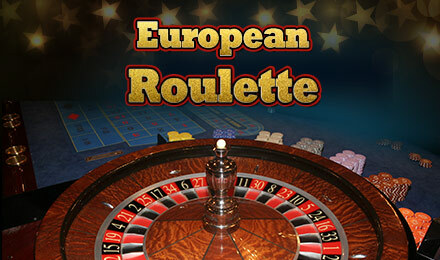 European Roulette is similar to your traditional roulette, with the single zero slot. However, the game's 3D interface adds something special, setting it apart from your average game. The goal is to predict where the ball will stop on the wheel. There are numbers 1-36, coloured red and black, and a green 0. When you play at Wicked Jackpots, you'll feel like you stepped into a real live casino, but from the comfort of your home. The Wheel rotates as you set up your bet, and there's a pay table so you can see how much each wager is worth.